Everything has to fit together for the perfect run. You need perfectly trained endurance, strong muscles, and, of course, the right equipment. Then that euphoric runners-high experience can set in where you simply run away from strain, feeling like you could keep going for ever. Find out everything about trendy running outfits and the functional must-haves from Bauerfeind Sports for your top performance during training and competitions! Appropriate clothing exists for every season and every running discipline. 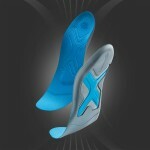 The perfect sports equipment requires more than “just” good running shoes. Functional sports clothing absorbs sweat and supports moisture management. 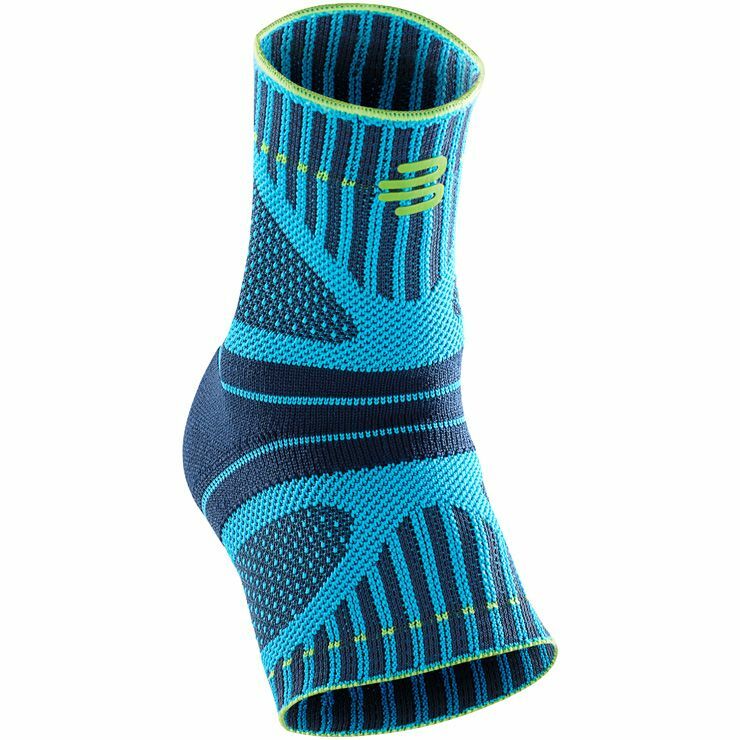 High-quality running gear made of functional fibers from premium manufacturers such as Nike, Gore Running Wear, and adidas is fundamental. Advantages: your body temperature is regulated, you feel dry, and the clothes don’t stick to your skin. In addition to the materials used, the fit is also very important: the clothes mustn’t cut in, chafe, or pinch. 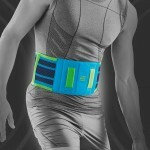 The right running outfit can also prevent injuries and support the regeneration of muscles even during the run. In order to run properly, muscles, ligaments, and the entire cardiovascular system must work together harmoniously. 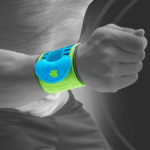 Whether you are learning how to go jogging, preparing for a half-marathon, or even running a marathon – with the right equipment, you are ready for new fastest times. Running shoes: Running shoes are the most important part of your outfit. They have to suit the condition and anatomy of your feet perfectly, and support all your muscles, tendons, and ligaments. Different shoes are suitable for different terrain, so you should choose accordingly. As a trail runner, for example, your shoes need more tread than if you’re running on asphalt. Urban runners, on the other hand, require better cushioning than people running in forests. Running pants: While running, it’s best to wear breathable running pants that wick moisture away from the skin. Make sure they fit comfortably. These pants shouldn’t cut in, and seams shouldn’t rub on the skin. Running shirt: A good running shirt is part of the basic equipment. 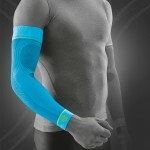 It wicks moisture away from the skin and protects against the wind, therefore ensuring a high degree of comfort. Flat seams that don’t chafe on the skin are important. High-quality running shirts offer a lot of freedom of movement and don’t restrict mobility. Reflecting elements improve visibility in poor light conditions. Running jacket: To allow you to keep training on cold and wet days, you need a running jacket. It protects you against the elements. For the spring and fall, when a running shirt is not enough and a running jacket is too much, get a running vest. While running, enormous force is applied to your joints, your knees in particular. 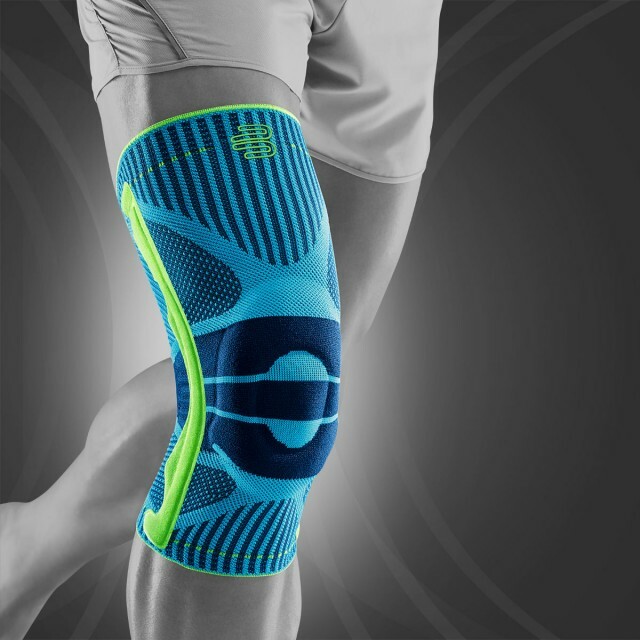 For the prevention of knee pain and for perfect support with maximum movement control, the Bauerfeind Sports Knee Support is a tried and tested medical product. 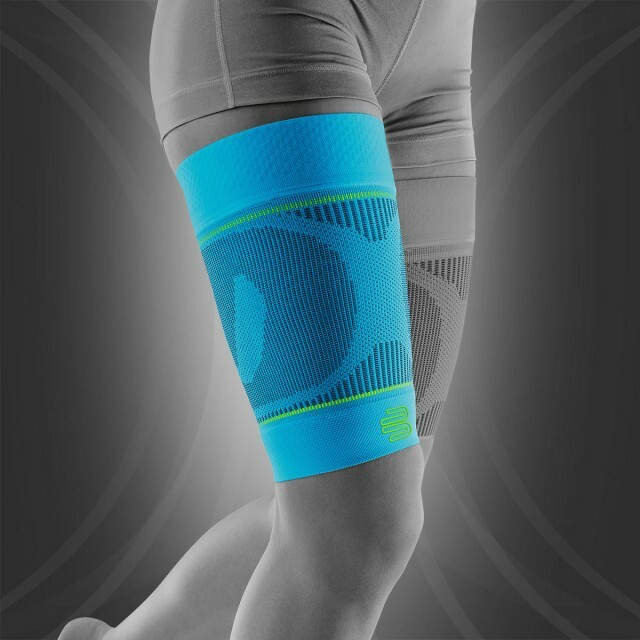 When your knees hurt during a run, or you want to start running again after knee surgery, these durable knee supports help you by improving movement control and by preventing excessive strain. 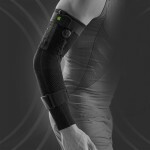 The integrated pads massage the ligaments, tendons, muscles, and the connective tissue with every movement. This, in turn, has a positive impact on sensorimotor function. 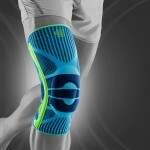 It means injuries are prevented, and knee pain is alleviated more quickly. It happens quickly while running: a stone or a root on the ground or that tiny bit of carelessness – and you have suddenly twisted your foot. The Bauerfeind Sports Ankle Support Dynamic was developed to minimise the risk of twisting and avoid severe injuries of the ankle. It is extremely light-weight and you won’t sweat too much thanks to its 3D Airknit Technology. 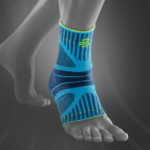 Because of the anatomic contouring of the ankle support, you don’t have to sacrifice freedom of movement and can focus entirely on new personal record times. Thanks to regulated compression, wearing Bauerfeind Sports Compression Sleeves Lower Leg increases circulation, therefore improving muscle action. 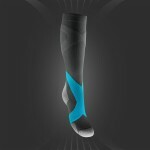 Your entire lower leg will be perfectly supplied with oxygen. 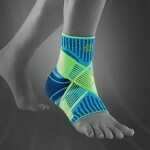 Your muscles will warm up more quickly, preventing calf pain while running. This means you can keep going for longer, and regeneration is quicker. Sore muscles are also prevented. Activate your thigh muscles with Bauerfeind Sports Compression Sleeves Upper Leg. 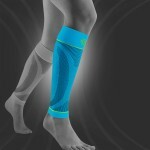 They work the same as the lower leg version, stimulating circulation with targeted compression. 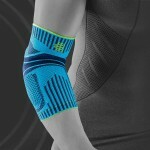 Simply wear these sleeves under your running pants! 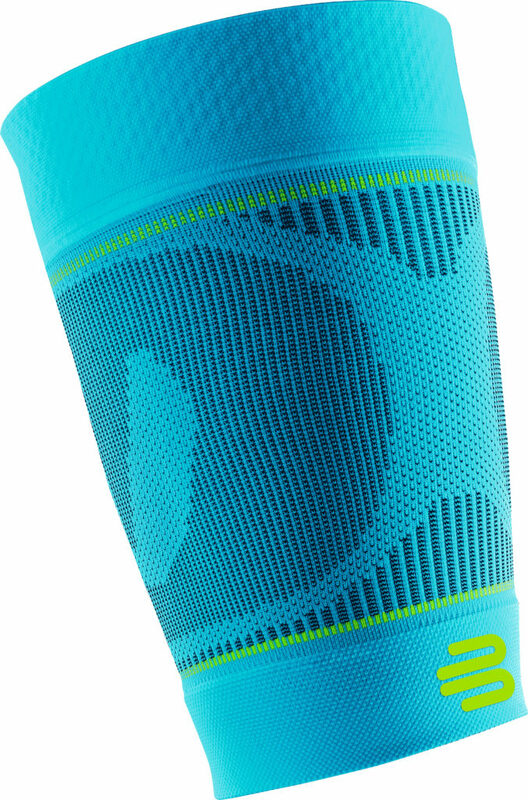 Thanks to the highly elastic knitted fabric and precise fit, the Compression Sleeves are like a second skin. You won’t notice them, even under skin-tight running pants. 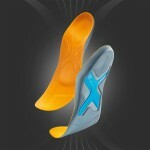 The Insoles Run & Walk provide additional stability, guidance, and control during running. 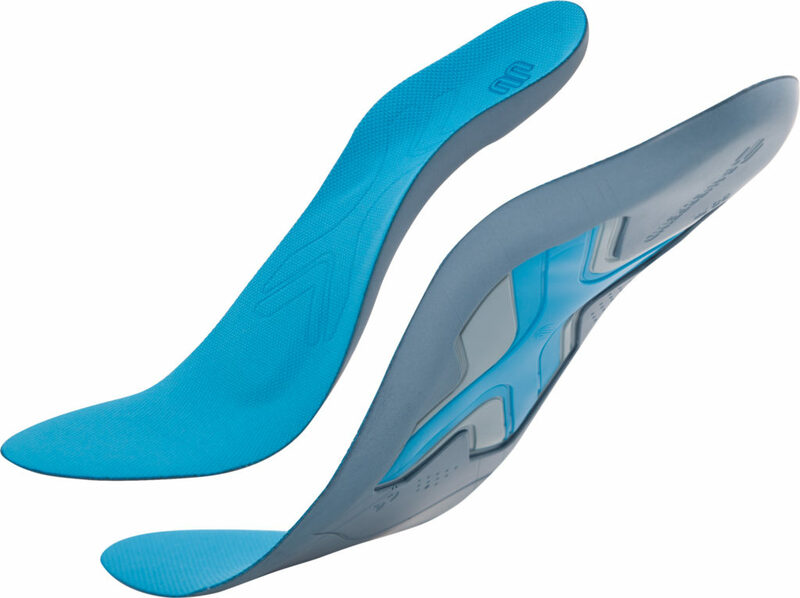 This foot orthosis cushions the areas of the forefoot and hindfoot, and support your movements by ensuring the start of the movement is secure and gentle. Proprioceptive spots also stimulate the foot muscles. Whether you are an urban runner or a trail runner – equip yourself with stylish and functional sports outfits, perfect for your runs. 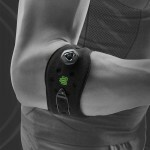 With Bauerfeind Sports products, you will improve your performance, prevent injuries, and regenerate faster.